The Honda CR-V has been America’s best-selling SUV over the past 21 years*. Two engine choices along with refreshed athletic styling are only a few highlights of the all-new 2019 CR-V. Split folding rear seats along with spacious interior dimensions allow drivers and passengers to have plenty of space. Drivers will be excited to experience Honda’s latest technology, from the foot-activated power liftgate to rain-sensing windshield wipers. A 1.5-liter turbocharged engine boasts improved fuel economy and increased horsepower when compared to the prior-generation 2.4 liter engine. Key exterior enhancements include higher ground clearance, larger vehicle width, and a longer wheelbase compared to previous generations. Standard on all CR-V trims EX and up, the Honda Sensing Safety Suite of technologies includes blind-spot monitoring, adaptive cruise-control, lane-keeping assist, and collision-mitigation braking. It’s no wonder the Honda CR-V is highlighting the exceptional value of the CR-V.
**Based on Autodata cumulative total sales for all SUV and CUV models in America 1997-2018 CYTD September. 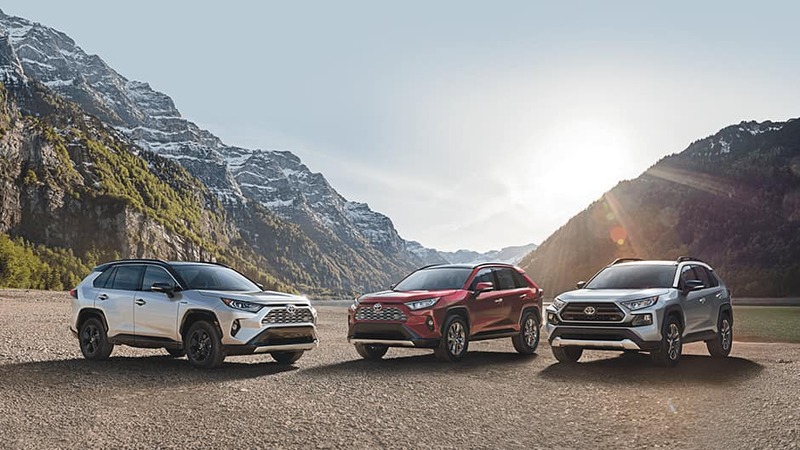 Take your journeys even farther with the Toyota RAV4. Whether you’re headed downtown or up the mountain, drivers and passengers will enjoy available dual zone automatic climate control and heated seats. The RAV4 is packed with impressive tech features as well, including a Bird’s Eye View Camera, Entune™ Premium Audio with Integrated Navigation, and a Foot-Activated Power Liftgate. Standard power comes from a 2.5L 4-Cylinder Engine with available Dynamic Torque-Control AWD. Looking for something a bit more “eco”-nomical? The RAV4 Hybrid is the perfect blend of dynamic styling, impressive efficiency, and versatility. Make stopping for gas a thing of the past thanks to the 41 city MPG EPA-estimated fuel economy rating for RAV4 Hybrid*. Standard on every trim level of RAV4 is Toyota Safety Sense™ 2.0 (TSS-2.0). Included in this suite of safety technologies is Pre-Collision System with Pedestrian Detection, Lane Departure Alert with Steering Assist, and Dynamic Radar Cruise Control. Take on any challenge with the Toyota RAV4. Mercedes-Benz GLA blends performance, design, safety, luxury, and technology into a cutting-edge compact luxury crossover SUV. Driving the GLA is invigorating thanks to the Inline 4-cylinder turbocharged engine, 7-speed Dual-Clutch Transmission, and available 4MATIC® all-wheel drive. LED Daytime Running Lamps and taillamps accent the sophisticated design of the GLA. Available interior amenities include a power tilt/sliding panorama roof, 12-color LED ambient lighting, Harman/Kardon® surround sound, and power liftgate. Active Brake Assist collision mitigation and Distance Pilot DISTRONIC®. Lexus NX combines intuitive technology, striking design, and potent turbocharged power to take on whatever your day may bring. Standard amenities on the NX are Lexus Display Audio with a 7-inch screen, LED interior lighting, LED tail lights and LED low-beam headlights, and advanced stability control. The Lexus NX 300h infuses hybrid technology into the NX for the ultimate in fuel efficiency. Paired with All Wheel Drive, the NX is confident in even the harshest weather conditions. Technology features remain impressive on the NX. The available Remote Touchpad uses a touch-pad controller for user inputs, similar to your smartphone. Lexus Enform elevates connected technology into a new era of concierge-level convenience. Drivers seeking additional adrenaline should opt for the impressive Lexus NX F SPORT for the ultimate experience. Exclusive F SPORT amenities offered on the NX include exclusive G-force and turbo-boost gauge, perforated leather–trimmed steering wheel and shift knob, and quick-shifting paddle shifters. Expand your horizons with the stylish and versatile 2018 Ford Explorer. The Explorer offers three engine choices — a standard 290-horsepower 3.5L Ti-VCT V6, an optional 280-horsepower 2.3L EcoBoost® I-4, and the powerful 3.5L EcoBoost V6 which produces an eye-popping 365-horsepower. With the power and efficiency to tackle any challenge, an available Intelligent 4WD with Terrain Management System provides seamless shift-on-the-fly confidence to keep you in-control at all times. The Explorer delivers impressive capability to make life simpler. Enjoy 81.7 cubic feet of cargo space with both the 2nd- and 3rd-row seats folded along with a hands-free foot-activated liftgate for easy access to the cargo area. Experience unrivaled comfort inside the Explorer Platinum, offering upscale amenities which include leather seating surfaces with quilted inserts, industry-exclusive 500-watt Audio System from Sony® with Clear Phase™ and Live Acoustics™, and Real Brown Ash Swirl wood trim accents. Versatility, style, and performance are just three major hallmarks of the 2019 BMW X3. The BMW X3 features 8 inches of ground clearance for navigating conditions from sand to snow. Cargo storage capacity reaches a cavernous 62.7 cubic feet thanks to split fold-down rear seats. Available xDrive, BMW’s intelligent all-wheel-drive system, blends spirited performance with uncompromised control in both dry and wet weather conditions. Inside the BMW X3, the optional iDrive 6.0 system places essential information right at your fingertips, with an intuitive interface that responds to touch, Intelligent Voice Control, or optional Gesture Control. There’s even an available charging pocket in the central console which provides inductive wireless charging for your compatible smartphone. Not only is the exterior styling of the BMW X3 eye-catching; it’s functional as well. The BMW Active Kidney Grille and BMW Air Curtains combine to reduce both fuel consumption and noise levels while helping the engine run more efficiently. For those looking to make a statement, the 2019 Cadillac XT5 offers a striking design along with an ingenious cabin that is both spacious and versatile. A powerful standard 310-horsepower 3.6-liter Direct-Injection V6 VVT Engine features an Automatic Stop/Start system that maximizes efficiency without sacrificing performance. The Cadillac XT5 features an available twin-clutch AWD system enhances driver launch performance and cornering, especially in adverse weather. From cut-and-sewn seating to a hand-stitched steering wheel and dashboard, the Cadillac XT5 features an interior that’s tailored to the highest standard. 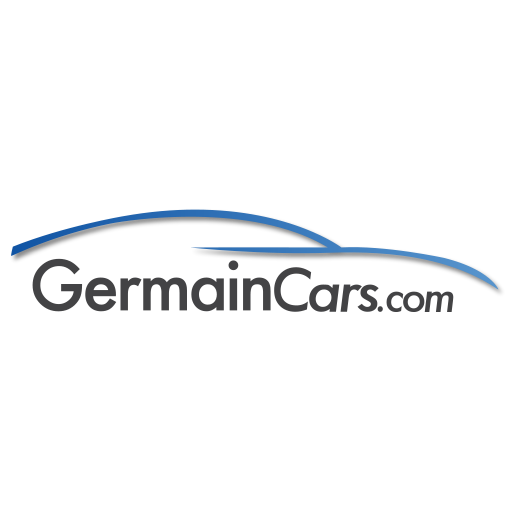 Apple CarPlay™ and Android™ Auto each offer seamless smartphone integration in the Cadillac user experience (CUE) system. With the optional UltraView sunroof, drivers and passengers can fill the cabin of the Cadillac XT5 with fresh air and natural lighting. Available RainSense™ wipers automatically engage when rain is detected and adjust to the rain’s intensity for a clear view from the windshield.